Much like our own, the world of Descender is full of prejudice, hatred, and war. These various traits all fuel each other in some sort of endless, infinite loop — the only way to break the cycle is to come together, to learn from each other, to empathize with each other, to love instead of hate. Like in so many stories — and, again, perhaps like our own world as well — love is the answer, but it’s not a solution that comes easily. 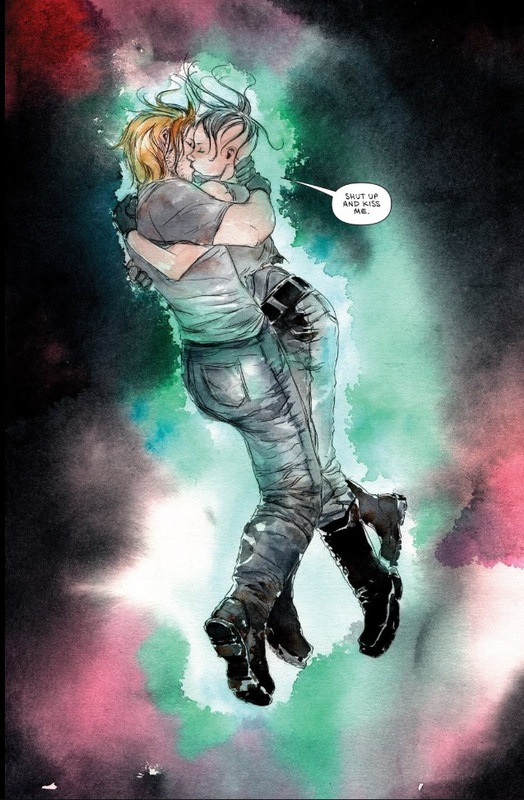 In Descender 32, the final issue of Jeff Lemire and Dustin Nguyen’s saga, love may be the answer, but love doesn’t conquer all. This makes for a bleak finale, but not one without heart and moments of hope. Tim-21 and his friends do everything possible to stave off all-out war — and, eventually, the decimation of the entire universe — by appealing to the Harvesters, but there’s simply too much hate in the universe. The loathsome Lord S’Lok gets things rolling by annihilating most of the Hardwire, a move motivated by nothing but prejudice and gleeful evil. Of course, the UGC would have done the same if given the chance (and if Telsa hadn’t refused to power their imitation-Harvester), and the Hardwire were aiming to destroy all organic life themselves. The Hardwire are a tad more sympathetic, given that they’re responding to the attempted genocide of their entire species, but it’s still an extreme action rooted more in revenge than justice. Even the Harvesters themselves have a just cause — their original attack, which kicked off Descender, was a warning that the universe needed to treat robots better, and their final attack is a punishment for the failure to heed that warning — but they have little understanding or regard for the organic lifeforms they’re targeting. Their original warning wasn’t treated as one because they gave no understandable context for their actions — without any sort of statement or credo, the motive behind their attack was a complete mystery to its survivors, creating fear and hatred instead of soul-searching and reformation. The Harvesters didn’t bother to learn how to communicate with organic lifeforms, and I suspect it’s because they have as little regard for their lives as most organic lifeforms did for the machines. The main cast of Descender, though, show another way. Driller feels guilt over killing humans, and thus saves Andy and Effie’s lives as a form of redemption. Tim-21 sacrifices his own happiness in an attempt to spare his family and all the people he loves. Effie protects Andy from the cold vacuum of space with her force field, but it happens while they finally declare their renewed love for each other, the force field framing them like a halo. Here their love is practically holy and divine; it’s the most powerful force in the world of Descender. Their love is what’s allowed these disparate characters to come together despite their differences, to overcome their prejudices and protect each other when the rest of the universe wants nothing but to slaughter anybody who’s even slightly different from them. Tim-21 and company model a better way, show how love can save the universe, but nobody else is interested. It’s bleak, but realistic — it feels like most people in our universe likewise don’t want to stop hating or to find a solution. Love may be powerful, it may be the answer, but it’s useless if the majority of the universe refuses to embrace it. This leaves the upcoming Ascender — set 10 years after the events of the future — to show how to survive in a world that’s rejected love, empathy, and compassion, and faced the consequences for it. How do they move forward now? This may have been one of my favorite endings to a comic ever. Now, it’s not really fair calling it an **ending** given it truly is a new beginning as it announced a new series, but damn, I think they nailed it, story and art. I’m not sure how to talk about this issue in terms of it as a single issue. 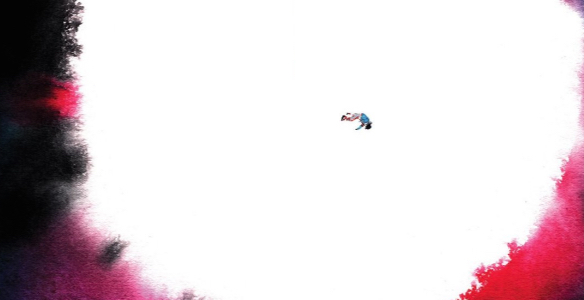 It was much like every other Descender issue – fantastic art, compelling story, believable characters… it just ended. I liked every issue of this series. Every one. I’m glad it ended like this and I can’t wait for what’s coming.